Some days I’m desperate for some ME time. Are you? Last weekend, I had reached my limit. I had two full days of a power struggle with my toddler. No, I don’t want to pick up my cars. No, I’m not going to take a nap. No, that’s not the way it works, Mama. He knew better than I did about…everything. He sought control with his brother, too. Here was my text to hubby that afternoon. He must have sensed my desperation. I started to plan my afternoon, with a bit of glee, I’ll admit. What should I do? Get a pedicure, a massage, peruse the B&N aisles for a new book, go shopping. So many options – and only one afternoon! Who knew when I’d get this chance again? And that’s when the guilt started to set in. Does that happen to you? 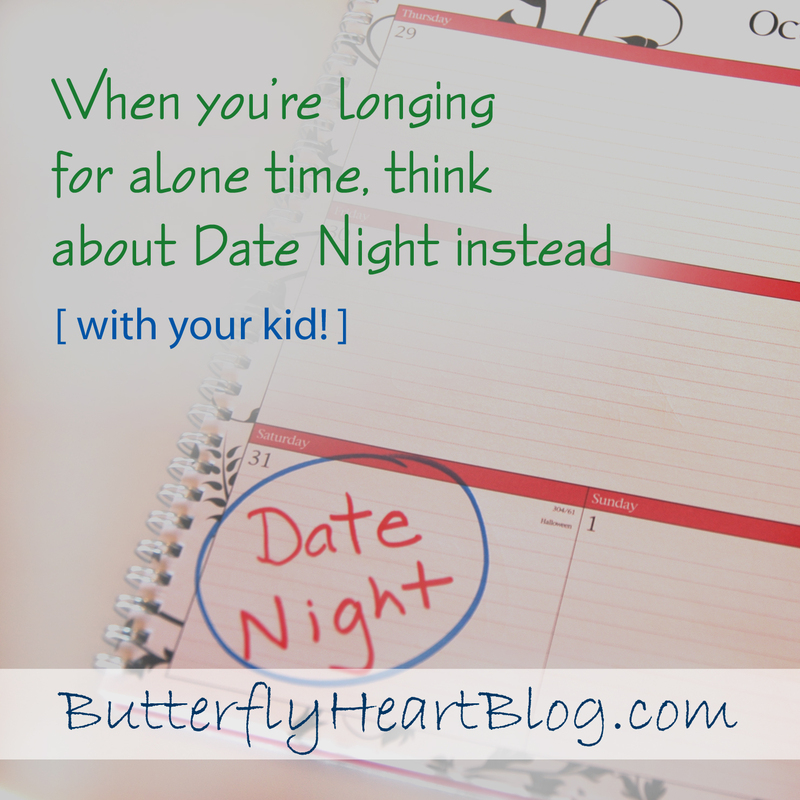 As much as I want – and need – some time to myself, I feel bad about ditching the kids. I love them so much, so why don’t I want to be with them? Why am I focused on myself? I don’t do near enough fun stuff with them. So often it’s just Mom doing chores and crossing off the To-Do list. No wonder they get as cranky as I do. But I couldn’t let the opportunity slip by – it was too rare. So I thought, How could I get some time away without the guilt? How could I still make the best use of this free afternoon? I had a quick answer. I gave up my chance at reconnecting with myself and chose to reconnect with someone else. Someone who probably needed some ME time as much as I did. He gets the short end of the stick, too. In terms of my attention. A toddler has different, more immediate needs. For example, part of every day is ruled by his naptime, which doesn’t always go smoothly. Older brother has to roll with it. I couldn’t remember the last time my oldest and I just hung out together. That was bad. Because he’s awesome to hang out with, and I realized I missed one-on-one time with him. He was the most pleasant and patient I’ve seen in months. He gave me honest advice on outfits, encouraged me when he could tell I liked something, and never complained about “just one more store.” This could have something to do with his getting a new pair of shoes, but honestly, I got more out of the deal than he did. After shopping success (and running low on funds), I decided to get him off his feet and suggested a movie. We went to see Pan, and it was the perfect way to end our day. Popcorn and chocolate. Hugh Jackman and flying fairies. It was exactly what WE needed. To relax together – no deadlines, no piles of chores, no extra opinions, no naptime or frequent potty stops. We could just enjoy each other’s company and have some fun. And yes, he swore he enjoyed it. I kept asking. My husband had a great “date” with our toddler, too. They played games, read stories, watched a movie, and giggled. Of course, my little devil would switch to his normal, sweet self for Dad. Now Dad thinks I’m nuts. When you give a little, you gain a whole lot more. Giving up my free night alone was the best decision. I gained so much more enjoying quality time with my older son. Wait, what? Did you seriously just offer one night a week? « Can I Just Take a Shower? Sounds like a great time. Makes me remember when I could have one on one with the grandsons. Now it is just Bayden and a phone call to Utah to reconnect with the Airman. I’m definitely in need of some date time with E! Great reminder! What a wonderful story. Maybe this could be a habit with you and your husband. Because they are far apart in age, a little one-on-one is a great thing. Your concentration (and his) is so much clearer as to what that child is all about. Good for you! You are a great thinker, Kellee.